For decades publicists have been booking clients on television and radio shows. Actors, humanitarians and people like you and me have been highlighted in articles both on and offline. Having your business featured in your local newspaper will help bring in new prospects, sharing your expertise on the radio where you mention your website address will likely bring new traffic to your site and talking about your expertise on a television show will most certainly help you gain some great exposure for your business. Traditional media coverage is great, but there is another media coverage market that you can tap into and gain even more exposure for your business. I am talking about Digital Media. Some examples of Digital Media include Blogs, Podcasts and online video (like those you see on sites like YouTube). A podcast is much like a radio show, the only real difference is that is it available for listening at any time and can be produced by an independent production company or podcast producer. The idea is the same, in that you have the opportunity to talk with the show’s host about your business, product or service all the while sharing some great information and resources about your area of expertise. Research your options. Podcasts usually have a very targeted audience. Do your research and find shows that you think have an audience in which your topic will appeal. Some podcasts have a media kit available that defines their audience demographic, this will aid you in your research. If you can’t tell who the audience is for a particular podcast by viewing their website, simply listen to a few podcast episodes (in fact, do this anyway!) after listening to two or three of them, you will be able to see if the show is the right fit for you and your topic. Contact the show. Send an email to a podcast producer telling them about your interest in being on their show. Provide some information about the topic you are interested in talking about. But please, do not send a pitch form letter! Form letters are just so, impersonal. You want to eventually have a fun and open conversation with the host, yes? So, make an authentic connection, make it personable and clearly define how/why you would be a good fit for their show. The worst thing that can happen is that they decline your request. Prepare for your moment. Once you have been booked to be a podcast guest, it is time to prepare. While being a guest on a podcast is your time to shine, remember that you are still a guest on someone else’s podcast. If you plan on talking a little bit about a new product or service, it is always a good idea to mention this to the podcast producer before the interview. You may also want to ask the host if they would be willing to share with you a list of topics or questions they plan to discuss during your interview, so that you can be well-prepared. Generally speaking, a podcast is a medium that provides information and resources to listeners… if you are out to simply sell a product or service and have no interest in talking about anything else, then a podcast may not be the right avenue for you to gain exposure for your business or area of expertise. And that’s okay, there are many other digital media avenues you can take to help gain exposure for your business. 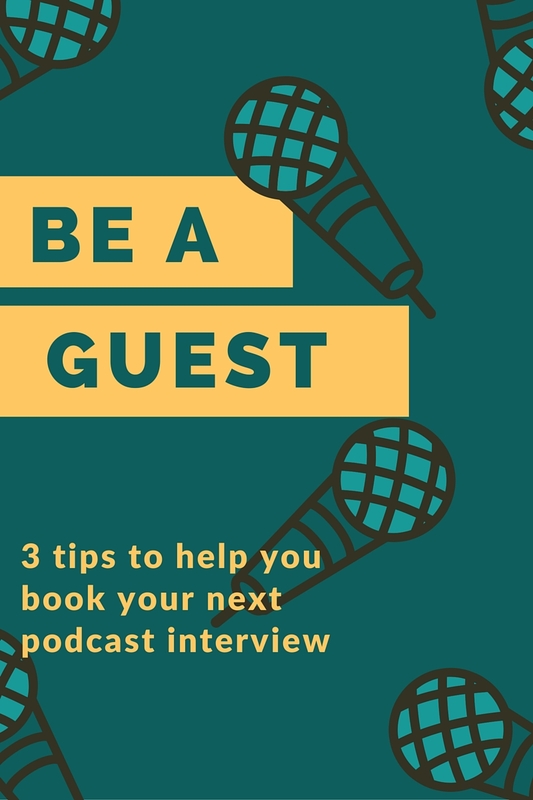 If you have some great information to offer, as well as, increase awareness in a relaxed and fun atmosphere, then search out a podcast and be a guest! If you would like to be considered as a guest on my podcasts, I'd love to hear from you. Visit DVpodcasts.com to learn more about my shows and then use the contact page to connect.